The "Mars" was the most powerful 9mm made because it used a more powerful cartrage designed by the gun inventor, Mr. Gabbet-Fairfax. The gun also has a "long recoil" in which the barrel and breech bolt, firmly locked together. Recoiled two inches across the gun frame. 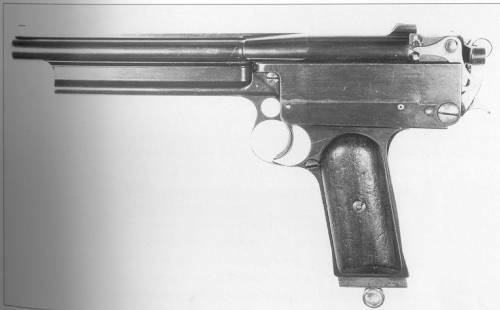 In 1900, Webbly made the gun in 8.5mm, 9mm, and .45 calibers. The 8.5 mm Mars was also the most powerful handgun in the world until the Auto Glock came out. This gun was never accepted by any major armies because the officers felt that it was too powerful and uncontrollable to use.